Modeloff is a global financial modelingWhat is Financial ModelingFinancial modeling is performed in Excel to forecast a company's financial performance. Overview of what is financial modeling, how & why to build a model. A 3 statement model links income statement, balance sheet, and cash flow statement. More advanced types of financial models are built for valuation, plannnig, and competition that requires contestants to use Excel to solve financial questions and case studies. Though it is referred to as a “financial modeling” competition, it doesn’t require participants to build a complete valuation model of a business; it mostly focuses on independent questions that require mini exercises in Excel. 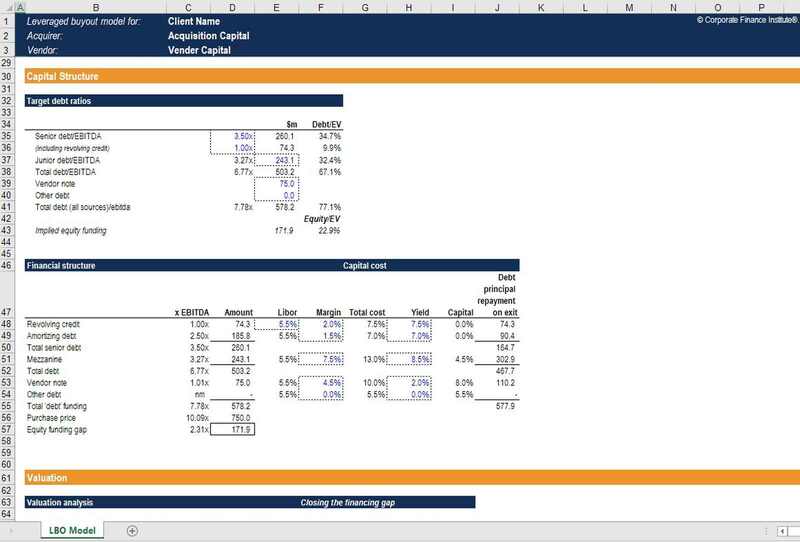 By comparison, the CFI Financial Modeling Competition requires competitors to build a full 3-statement and DCF model in Excel from scratch using a case study. How to register for Modeloff? To register for Modeloff simply visit their website and follow the instructions on the screen. CFI has created a guide to what we believe are the best steps for preparing for Modeloff. It all comes down to practice, and here are the most important things to know. In any contest that has a time limit, time is of the essence. The best way to speed up your financial modeling is to put away the mouse and only use keyboard shortcuts. We have created a list of the most important keyboard shortcuts, which you can review and memorize to speed up your Excel skills. Even better, you can take our Free Excel Crash Course which teaches you all these shortcuts step by step. There are over 50 functions in Excel listed under the “financial” category. If you really want to win the competition, you should probably memorize all 50 of those functions and know how and when to use them. If you want to get started with the top 10 most important functions, check out CFI’s guide to Excel for finance. Better yet, you can combine our Free Excel Crash Course with our Advanced Excel Formulas Course to master the important functions. Since the Modeloff competition requires a combination of Excel AND finance/accounting skills, it’s important to make sure you know your stuff. In order to have strong technical skills, the focus when preparing should be on formulas and calculations – which typically relate to the time value of money, equities, fixed-income, and accounting schedules. Modeloff publishes prior year competition questions and you can use them as an effective way to prepare for the contest. As you go through them you will get a sense of what types of questions they ask, and hopefully, understand what their style and approach is. Once you have the Excel skills, technical finance skills, and you’ve seen past questions, it’s time to combine all of the above into your own practice competition. Being good at financial modeling requires extensive practice. One of the best ways to forms of training is to take a company’s financial statementsThree Financial StatementsThe three financial statements are the income statement, the balance sheet, and the statement of cash flows. These three core statements are intricately linked to each other and this guide will explain how they all fit together. By following the steps below you'll be able to connect the three statements on your own., put them into Excel, and build your own forecast model. This will allow you to take all the shortcuts, functions, and financial knowledge you have and tie it all together. To learn financial modeling by example, check out our library of financial modeling courses. In addition to modeloff, you may wish to register for CFI’s annual Financial Modeling Competition, which in 2018 had cash prizes totaling USD $10,000. The competition is centered around a private equity case competition where participants must use the data in a Confidential Information Memorandum to build a model of a company from scratch. Register today at www.financialmodeling.org to compete for $10,000 USD in prize money! We hope this has been a helpful guide to preparing for the modeloff financial modeling championship and competition.